"With over 4000 varieties of flowers, numerous types of animals, and a countless number of snow-clad mountains kissing the swirling clouds forming a silver lining, Sikkim is a mystical land, where reality merges with a legend. 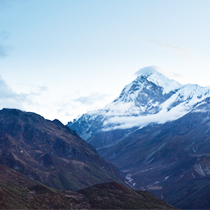 To witness the best of Sikkim, book a trekking tour from our selection of more than 15+ adventure trekking programs." Small in size and colossal in beauty, Sikkim is a potpourri of ivy mountains, green alpine trees, flower beds, verdant valley and monasteries soaked up in the rich cultural history. Every nook and cranny of the state unveil dramatic landscapes that will remain intact your mind forever and ever. 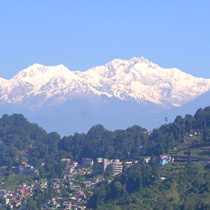 And of course, in whichever part of Sikkim you visit, the gigantic Kanchenjunga will follow you like a shadow. Geographically, Sikkim might be the smallest State in India but one should not get fooled its size as the variety that can be seen here can't be hardly found anywhere else in India. 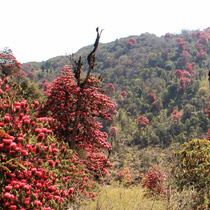 Rhododendron-clad mountains in the north, Buddhist monasteries to the west, South Sikkim's enormous religious statues and welcoming people and metropolitan cities and towns of East. 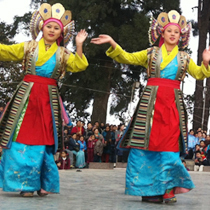 The icing on the cake is that Sikkim shares its border with Nepal, Bhutan, and China, the so-called Himalayan Shangri-Las. Apparently, there are many treasures burrowed in this paradise. With so many things to explore and behold, little is to wonder why this tiny Himalayan kingdom is decisively the loveliest place to visit. To soak up in the allure of Sikkim, one should not leave the boundaries of the state without indulging in any of the adventure activities that takes place here. To promote and keep up the adventure tourism quotient in Sikkim; the government has even made an 'adventure wing' (Tourism Department). 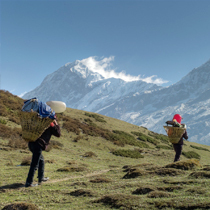 From skiing to trekking, peak climbing, camping etc, there are numberless adventure options in Sikkim that can fulfil the thirst of adventure seekers, but one activity that gets a thumbs up from everyone is trekking. Mentioned below are some good reasons that make Sikkim a hotspot amongst the trekkers and an adventure tourism destination in North East India. In the high altitude mountains of Sikkim, while trekking one might come face to face with animals like red panda, snow leopard, wild boar, musk deer or blue sheep. Trekking trails like Darjeeling and Sikkim, Yuksom to Dzongri & Goecha La Trek, and Green Lake Trek allows one to witness the most exclusive wildlife and get a glimpse of the great Indian Himalaya. Sikkim is one such Himalayan kingdom where traditional Buddhist practices are still followed, and one can see them in the monasteries that are sprinkled in every nook and cranny. 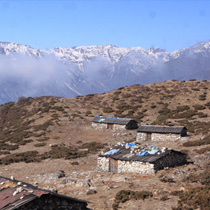 Trekking trails in Sikkim like Singalila Ridge and Goecha La Trek, and Dzongri, covers the remotest places that boast of many monasteries that dilate a diorama of the footsteps of Buddhism in Sikkim. 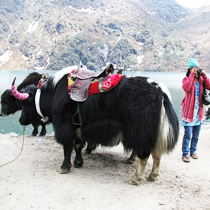 While trekking holidays in Sikkim, one will get an opportunity to encounter people of various communities like Nepalese, Bhutias and Lepchas. 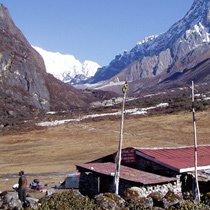 Treks like Green lake trek, Kanchenjunga Base Camp Trek, Kasturi Odar trek and Rhododendron Sanctuary would take trekkers to remotest and farthest region of Sikkim to explore its deep and diverse culture. And this includes the scrumptious Sikkimese cuisines too. 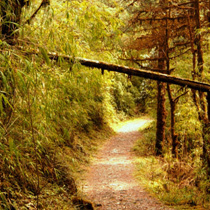 Trekking trails of Sikkim like Green Lake Trek, Barsey Rhododendron Sanctuary, and Singba Rhododendron Sanctuary Trek follow the trail where one can see the landscapes that are filled with rhododendrons, primulas and blue poppies that stretch for many miles and forest hills. 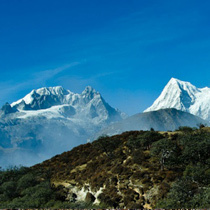 Assorted terrains of Sikkim boasts a plethora of glinting lakes. 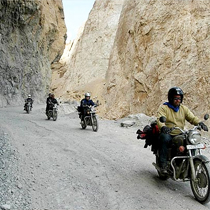 Most of which comes on the way to popular trekking routes. Treks like Yuksom to Dzongri & Goecha La and Green lake cover pristine lakes like Samiti, and Green that offer tourists ultimate tranquillity. Lakes in Sikkim are positioned in such a serene environ that makes them even more lovely and captivating. Sikkim is undoubtedly the most beautiful places to for trekking in North East India region but to make the experience more memorable; one should go there for trekking from March to May and September to December. During these time of the year, the landscapes are in full bloom, and everything is picture perfect. Also, there will be less rain, which makes hiking in Sikkim comparatively easy and exhilarating. Foreigners must take Inner Line Permit (ILP) to visit Sikkim, which can be obtained from your own country while taking Indian visa, Sikkim Tourism Office in New Delhi, Kolkata, District Magistrates Office of Darjeeling, Siliguri, and Rangpo. At the Sikkim Tourism office, trekkers can get 30 days permit on the spot, only if photocopies of the passport and visa along with two passport photos of the applicants are made available. You can extend the stay by obtaining a permit from FRO at Gangtok and office of Superintendent of Police of the North, West, and South Districts. 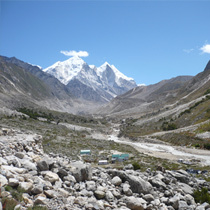 For trekking in the interior region of the state, the Tourism and Civil Aviation issues Protected Area Permit (PAP) at Gangtok, which is available for certain specified area for groups consisting of two or more foreigners subject to the condition that the trekking program is arranged through a registered travel agency. Foreigners aren't allowed to enter Nathula and Gurudongmar lake due to its closeness to the border of China. However, Indian citizens are allowed if they have a permit issued by Tourism and Civil Aviation Department. While booking tour with us we will take care of all your documentation. of the shrine in a clockwise direction. 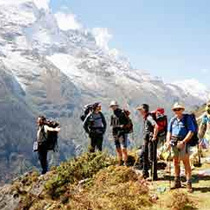 Trekking in Sikkim is amongst the widely respected Indian companies in the area of trekking. With more than 27 years of experience, we are known for providing a personalized, reliable and professional services and quality trips that exceed their guests' expectation. 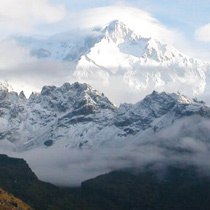 We operate trekking tours in more than a dozen places and wilderness areas in Sikkim. The team of our experienced trekkers fulfills a variety of roles including coordinating logistics, obtaining necessary permits, managing gears and vehicles, creating a schedule and a lot more! We will make sure that things work out in a right way for you. The special customized package offered by us for guided trekking tours in Sikkim are loved by people who love to hike in world-renowned, and breath taking landscapes. 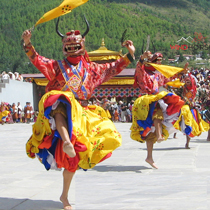 Regardless of what you're looking for, we have the best Sikkim adventure holiday packages for you!